Centrally located in Athens, just a 6-minute walk from the Acropolis Museum, the brand new B4B Athens Signature Hotel, owned by B for Boutique Hotels, features an on-site bar. Beautiful hotel, great location and very helpful staff. Excellent hotel! Just steps from from the New Acropolis Museum, AD Athens Luxury Rooms & Suites has an on-site bar and offers elegant rooms and suites with free WiFi access. The property is centrally located, just 200 yards away the entrance to metro station 'Acropolis' which connects to the Athen's airport. 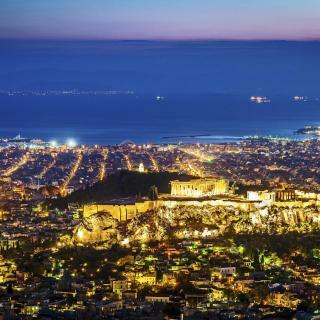 It offers a fantastic view of the Acropolis and the Parthenon - brilliant at breakfast and magnificent at nigh from the roof-top bar(cafe) of the hotel. The staff are friendly and speak god English. The rooms are clean spacious and comfy. This is a family business run with amazing hospitality. Looking forward to staying there again. Housed in an old industrial building featuring a steel and glass facade, Kubic Athens is a smart hotel centrally located in Athens. The hotel is new, has great beds and a very friendly staff. will go there again. Set in the high-end Kolonaki area of Athens, just steps from designer's shops, Hotel Lozenge offers rooms and suites with free WiFi access. Classy, perfectly located, with rooms very clean and comfortable. All at the staff are absolutely kind. A very special thanks to Christina and Nikos for their lovely assistance and suggestions. Located in the heart of Athens, just 200 metres from Syntagma Square, the modern Electra Metropolis boasts a small, rooftop pool with waterfall effect, and a sun terrace with views over the city. Our room was small but very charming and clean. Located in Kolonaki, one of the most high-end districts in Athens, Coco-Mat Hotel Athens offers elegantly designed units close to major touristic attractions and vibrant areas of the city. Loved the bed! The pillow menu was great to be able to find the perfect pillow to sleep on! The staff we super helpful & went out their way to assist us!! Will definitely go back & stay if in Athens again!! Ideally set in the heart of Athens, Klepsydra Urban Suites is housed in a restored neoclassical building and offers stylish accommodation with free WiFi access. Excellent stay at Klepsydra Urban Suites! Centrally located in Athens, just a 5-minute walk from Monastiraki Square, Perianth Hotel offers elegantly decorated rooms and suites with free WiFi access. We booked this hotel on the fly and not really knowing anything about Athens. Be My Guest Athens is centrally located in Athens, within walking distance of both the scenic Thission and Petralona districts and a 4-minute walk from Apostolou Pavlou street. Nicely located new small hotel with very helpful staff, decent breakfast and modern decor rooms. Home and Poetry is set in Athens, 300 metres from Acropolis Museum and theTemple of Olympion Zeus. Every room is fitted with a flat-screen TV. Very helpful staff, beautiful and modern hotel. Centrally located in Psirri district of Athens, the industrial-style 18 Micon Str. offers uniquely decorated units with free WiFi access. Perfect location, 10 min utestående walk from everything or the Metro. Clean and nice. Situated within 600 metres of Museum of Cycladic Art and 1.2 km of Syntagma Square, COCO-MAT Athens Jumelle in Athens features free bikes and rooms with free WiFi. The room was excellent and very clean. The bed was very comfortable. Set in Athens, 300 metres from Ermou Street-Shopping Area, The Artist Athens offers air-conditioned rooms and a terrace. Super cool place. Loved the design. very comfortable bed and pillows. Super nice staff. Ideally located in the heart of Athens, just steps from the hip bars and restaurants of Koukaki, Hotel @Syngrou Fix offers modernly decorated rooms with free WiFi access. Central location, clean, comfortable, excellent breakfast and helpful staff. Well located in the Athens City Centre of Athens, The Athens Edition Luxury Suites is situated 90 metres from Ancient Agora of Athens. The welcoming owner, the facility. Located in the lively Psirri area of Athens, 300 metres from Ermou Street-Shopping Area, athensotel.com features a fitness centre and a spa area with hot tub and sauna. Great location. Very clean, new and comfortable. Friendly and responsive staff. 24 hour reception. Just 800 metres from the world-renowned Acropolis and Acropolis Museum, Elia Ermou Athens Hotel is conveniently set in the heart of Athens. This 4-star hotel features a restaurant and wellness club. Shower facility was super. Best location, really clean room with full amenities. Located in the Athens City Centre district of Athens, BED in Athens offers a terrace. Bed in Athens was beyond my expectation. Located close to major shopping streets and lively areas of the city, MET34 Athens Hotel offers stylish apartments in the heart of Athens. Acropolis is at just 3 km. Free WiFi is available throughout.... Very friendly and warm service. Good facilities. Good location. Very convenient. Set in Athens, in a building dating from 19th century, Bohemian Suites Athens provides a garden and guestrooms with free WiFi. Beautiful, clean, extremely friendly staff, breakfast was delicious and fresh. The Zillers Boutique Hotel is located in Athens, 200 metres from Adrianou Street and 300 metres from Roman Agora. Really nice hotel, with excellent view to Acropolis. Situated in Dionysiou Areopagitou, the most scenic pedestrian street in Athens, AthensWas hotel is set right opposite of the Acropolis and the New Acropolis Museum. The rooms are fabulous, big comfy bed, fantastic shower, clean with all the modern luxuries. What hotels in Athens have nice views? Elia Ermou Athens Hotel, The Zillers Boutique Hotel and The Y Hotel have received great reviews from travellers in Athens regarding the views from their hotel rooms. On average, 3-star hotels in Athens cost US$66 per night, and 4-star hotels in Athens are US$99 per night. If you're looking for something really special, a 5-star hotel in Athens can on average be found for US$190 per night (based on Booking.com prices). On average, it costs US$72 per night to book a 3-star hotel in Athens for tonight. You'll pay on average around US$111 if you choose to stay in a 4-star hotel tonight, while a 5-star hotel in Athens will cost around US$213 (based on Booking.com prices). What are the best hotels to stay in Athens? 360 Degrees, AD Athens Luxury Rooms & Suites and InnAthens are some of the popular hotels in Athens. What hotels in Athens are good for couples? These hotels in Athens are highly rated by couples: Elia Ermou Athens Hotel, BED in Athens and Andromeda Downtown Suites. What are the best hotels in Athens near Elefthérios Venizélos Airport? Travellers who stayed in Athens near Elefthérios Venizélos Airport (ATH) have said good things about Sofitel Athens Airport, Dolce Athens Attica Riviera and Seasabelle Hotel. What is the best neighbourhood to stay in Athens? Plaka, Glyfada and Psiri are popular with other travellers visiting Athens. Many families visiting Athens loved staying at King Lodge, BED in Athens and NLH FIX | Neighborhood Lifestyle Hotels. 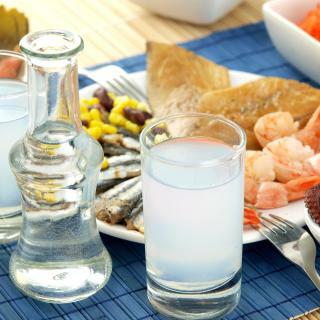 What hotels in Athens offer an especially good breakfast? For hotels in Athens that serve up a highly-rated breakfast, try Elia Ermou Athens Hotel, The Zillers Boutique Hotel and The Artist Athens. The average price per night for a 3-star hotel in Athens this weekend is US$178 or, for a 4-star hotel, US$247. Looking for something even fancier? 5-star hotels in Athens for this weekend cost on average around US$439 per night (based on Booking.com prices). With the Acropolis as the jewel in the archaeological crown of Athens, this city is full of history whilst embracing the future. Take a stroll back in time through the neoclassical streets of the Plaka, where you will find tavernas serving tantalising souvlaki and mousaka, street vendors and live entertainment. 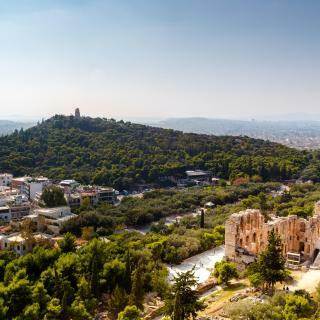 A trip to the Parthenon and the Agora top most lists and can also be appreciated from a distance by walking along the Dionysiou Aeropagitou street, which is away from the busy crowds downtown. Changing the guard occurs every hour on the famous Syntagma Square. From here Ermou Street provides shopaholics with a fashionable retail sanctuary. The up-market districts of Kolonaki and Kifisia are also bursting with fancy boutiques, galleries and bars. Athens contains some of the finest museums in the world such as the National Archaeological, Acropolis and Benaki Museums. 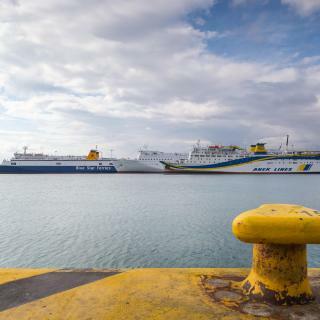 From Athens International Airport to the Port of Piraeus, this is a city bustling with the old and new. On Booking.com you can find everything from modern hotels to a room in a classical building. Though I went on work, my husband loves the food, the museum, the people and the architecture. He travels around with a taxi and has seen most of what is there to see. The Acropolis can be seen from everywhere, the restaurants, the hotel room... and one never gets tired of the sight! Restaurant Dyonisos is our place of choice to eat, although the restaurant at Hotel Electra Metropolis is also very good - if one can get in! I adore Athens. I was skeptical at first because I hate big cities, but the variety of neighborhoods (Exarcheia was my favorite) within close proximity of each other with such different vibes makes the city feel like a lot of very small cities all connected by an easily maneuvered metro system. The people here are unbelievably friendly and helpful, the food is amazing and incredibly reasonably priced (lots of pastries, gyros, saganaki, slouvaki, fried eggplant, and cheap wine). We never paid more than 20 euros for a meal for two, including appetizers, beer, and desserts. Lodging was easy to find and pretty cheap ( we stayed at Exarchion Hotel and Achilles Hotel ). Expect to pay 40-60 euros per night for a double room. The landmarks, attractions, street art, and museums were top-notch. The shopping is also amazing. Just love this place. I will definitely be back. Can't miss: Acropolis, Monastiraki flea market, Exarcheia district street art, National Archaeological Museum. The city has much to see. Taxis are not expensive. You can get around without a problem. I stayed in a couple of hotels. One was so expensive for food. A cup of tea or cup of coffee was A$7.00 ++ if served in your room. Rooms did not have tea or coffee making facilities so it had to be room service. I found is more rewarding to go out on the street. I found a McDonalds and bought stuff from there at regular prices. The hike and visit to Acropolis was too good. Makes you marvel at the things that humans built in that era which have stood the test of time even today. Erecthium was one that I had biggest expectations for me and it didn't disappoint. Parthenon was too good. We visited Cape Sounion for Temple of Poseidon and it is a must visit for its location. Just sitting there for an hour is worth the trip with temple on one side overlooking the sea on the other. New Acropolis museum is also something one can take out 1-2 hours for. A 3-day tourist ticket is best as it includes return airport ticket in it and allows for unlimited metro and bus travel. 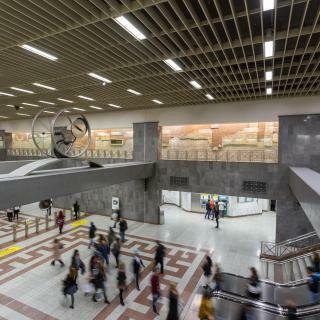 Mostly everything is pretty much accessible by the 3 metro lines so its best to stay in a hotel close to metro and perhaps 2-3 stops from Syntagma Square (which can be costly). I stayed near Omonia in Ambrosia Hotel & Suites and absolutely loved it. I would not really recommend open top buses in Athens as pretty much everything is approachable by metro which run every 5 minutes We had Indian food couple of times both of which were very close to Akropoli metro station so we went to Acropolis and on return had lunch there. There are so many other things that are there in Athens but our limited time permitted only this much. Perhaps, we'll return to Greece another day and see more of Athens and nearby. Loved Athens - will go back! Acropolis main site closes at 3pm( maybe only in winter?) but caught us out! 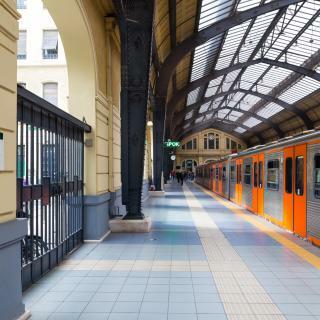 Apparently it is very easy on public transport around Athens, but we never used any, as if you stay in a central hotel and only have a couple of days staying there, you can visit all the major sites on foot. Public (the techy shop!) on Syntagma Square, has a lovely and very busy cafe with indoor and outdoor seating on the top floor of the shop, and it has incredible views! taxi from the airport to any city centre hotel was offered at a flat fare of 38 euros, which I thought was great for a 40 minute ride. Visit Athens Clue - a great Escape game building just one minute walk from Amalia Hotel and three minutes walk from Syntagma Square. Room, view, location, staff, breakfast... Everything was amazing. Super clean as well. Amazing pool bar on the 21st level. Great experience!